Low back pain afflicts many individuals. Often, it does not respond to conservative treatment. Surgery in the United States for low back pain hovers at 50% success rates. Platelet Rich Plasma (PRP) has been used for many musculoskeletal problems, including low back pain. Certain low back conditions may respond to Platelet Rich Plasma (PRP). Exact placement of the PRP is the key. Localizing where the pain comes from is the job of a skilled physician, one who regularly deals with chronic back complaints. If the diagnosis is established, exact placement can be done with fluoroscopic guidance to direct the PRP into the area which is injured. PRP utilizes growth factors present in the bloods platelets to achieve a reparative effect. The basis of Regenerative Medicine lies in healing tissues, rather than masking symptoms with medications, or irreversible altering joint tissue with surgery. Stopping the degenerative cascade and preventing arthritis progression is another goal of regenerative therapy. 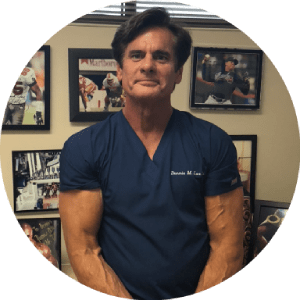 Dr. Lox is experienced and skilled at the evaluation of chronic low back pain. 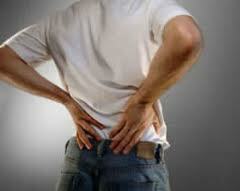 Platelet Rich Plasma (PRP) may be an alternative treatment for chronic low back pain.